Dennis Heath works with senior managers in the corporate and public sector, helping them become influential and effective leaders He is accredited by the International Coach Federation and is Vice President of the Singapore ICF chapter. Dennis spent 30 years in international sales and management in the telecoms industry. 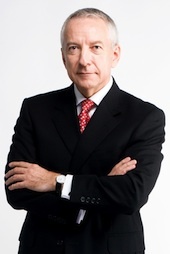 His coaching clients include CEOs, CFOs, and Vice Presidents of Fortune 500 companies, as well as senior civil servants. His coaching brand, “WayAhead Leadership Solutions”, is well known in Singapore and beyond. As a British and a Singapore permanent resident, Dennis was educated in the UK. He is a certified Meta Coach, a certified hypnotherapist and NLP Master Practitioner. His articles frequently appear in The Straits Times, Business Times, SIM’s Today;s Manager magazine, Human Resource and HRM magazines. He has also appeared on CNBS’s “Business Centre” programme and 93.8FM Live radio as an expert guest.